Linux MoeMoe Project Home Page. Sorry!! english page is 'small' contents. 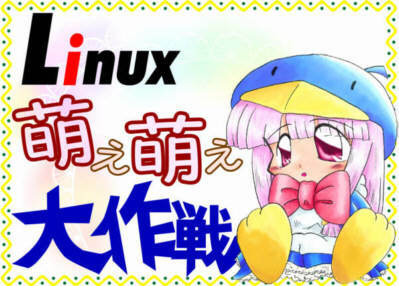 This is "Linux MoeMoe Project" homepage. The research and development of "MoeMoe" Application for Linux. "Moe" is the meaning of "Cute and Cuddly". It may be of no value of utility. Only cute. This site is maneged by DOUJIN circle "FumifumiKick". This site was written by 'rerorero@fumi'. When there is no description, the license of our page is GPL. A program building thing such as source is about free. An image and a voice follow other licenses. They are defined one after another. Details are to read the document of the software. If there is an opinion impression, to the following mail address.